The Institute bears the name of Leonard Davis, founder of the Colonial Penn Group, Inc., and architect of the nation's first health insurance plans for retirees. Through a lifetime of generosity and commitment, both Leonard Davis and his wife Sophie made a lasting contribution to progress in health services research and education. At a time when older persons could not obtain life, health, or automobile insurance easily, Mr. Davis found innovative approaches to solving this problem. In 1963, he founded the Colonial Penn Group, Inc., a major insurance company, which offered unprecedented health and auto insurance for the elderly. This became a model for subsequent plans throughout the insurance industry. While serving older Americans, his professional career flourished and his company became one of the nation's leading insurers. As a friend and colleague of Dr. Ethel Percy Andrus, Mr. Davis was closely involved in establishing the American Association of Retired Persons (AARP), and later served as its Honorary President. Mr. Davis' commitment to the cause of older Americans brought him to testify before Congressional committees on issues related to aging and he was a delegate to the 1970 White House Conference on Aging. Mr. Davis and Dr. Andrus were closely involved in the legislation of Medicare by Congress. In 1967, Mr. Davis funded a new institute at the University of Pennsylvania to focus intellectual resources on the financial concerns surrounding health care and health care coverage. The Leonard Davis Institute of Health Economics (LDI) remains one of the only research institutes in the country that integrates medicine, nursing and management expertise and applies it to the solving the health care issues of the day. Mr. Davis continued to show his commitment to the elderly by endowing the first school of gerontology in the country at the University of Southern California in 1976. The Leonard Davis School of Gerontology remains ones of the foremost institutions devoted to studying the process and problems of aging. Mr. and Mrs. Davis' philanthropy is a product of their personal experiences. Born in New York City, Mr. and Mrs. Davis attended the City College of New York during the tuition free years of the institution. In appreciation of their education, they became the most generous living donors in the history of CCNY, constructing its performing arts center, Aaron Davis Hall, and funding the Leonard Davis Center for the Arts and the Sophie Davis School of Biomedical Education, a medical program for the training of urban doctors which has more than 1,000 graduates practicing in inner city environments. CCNY awarded them honorary degrees. Beyond health care, Mr. and Mrs. Davis have also supported various cultural, artistic, and international causes. In 1976, Mr. Davis established the Leonard Davis Institute for International Relations at the Hebrew University of Jerusalem, which conducts research relevant to Israel's foreign relations and diplomacy. The Davises moved from New York to Palm Beach in 1969 and became permanent residents in 1984. They became active in the cultural, educational and philanthropic organizations of the community. On September 16, 2000, Mrs. Sophie Davis died at the age of 74. On January 16, 2001 Leonard Davis died at the age of 76. Mrs. Sophie Davis never forgot her roots. She was born in 1926 in the Bronx to Isadore and Esther Kesten, immigrants from Minsk, Russia. After skipping a grade in high school, she attended City College at night; there she studied accounting and met Leonard Davis, whom she married in 1945. Mrs. Davis helped her husband Leonard found the Colonial Penn Group of insurance companies, and they gave millions of dollars to health care, art, dance, music and Jewish philanthropic causes, including the Holocaust Museum in Washington. Her commitment to improving health care for the poor led her to fund the Sophie Davis School of Biomedical Education at the City College of New York (CCNY) in the 1970s. This premier program helps place economically disadvantaged students into medicine with the understanding that they will practice for at least two years in low-income communities. Students in the seven-year accelerated medical degree program take three years of undergraduate work at CCNY, two years of medical training at Sophie Davis and their final two years at one of six cooperating medical schools. The graduates are known as "Sophies." More than 1,000 of them now practice in inner-city areas. CCNY awarded both Leonard and Sophie Davis honorary degrees. Mrs. Davis was very active in the construction of the Raymond F. Kravis Center in West Palm Beach, a nationally recognized performing arts center. 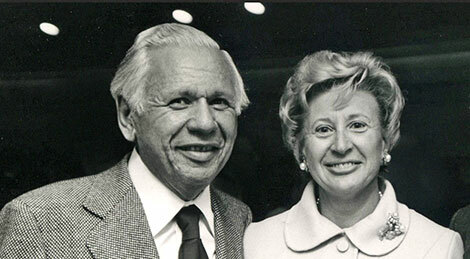 For twenty years, she served as President of Regional Arts, a widely respected classical music series, which brought artists such as Isaac Stern, the Chicago Symphony Orchestra, and the New York City Ballet to Palm Beach County for the first time. Regional Arts, founded by the Davises, entirely underwrote these presentations. She also spearheaded the drive to double the size of the Norton Museum of Art while serving as one of its trustees. The Davises donated a gallery during the expansion and helped support a new wing to house it for the Chinese collection. Sophie Davis died of breast cancer on September 16, 2000. She was 74. Leonard Davis died of heart failure on January 15, 2001. He was 76.